Four out of five leaders would love to have happier, more engaged employees, according to Deloitte. Regrettably, only about one in five said his company was excellent at creating unique employee experiences. This translates to only about a third of employees who feel a bond with their organizations, per Gallup. It’s no secret that an award-winning level of worker engagement seems to be something of a unicorn achievement. Every organization dreams of a cadre of devoted team members, but few seem to make headway. Could it be that the problem lies not in the methods being used to promote engagement, but in who’s deploying those methods? Plenty of firms push the responsibility for amassing a group of loyal, innovative personnel squarely onto the shoulders of HR, especially once they’ve grown large enough to have an HR department — it feels like a justification. Instead of pushing employee engagement efforts in just one department, though, leaders should ensure that this important responsibility is shared across functions. When engagement practices only come from one direction, their likelihood of spreading organically throughout the organization is reduced. Sure, the Director of First Impressions or Manager of Company Culture might arrange Monday morning yoga sessions or after-work bowling parties, but those events won’t reach everyone. A better solution is for company leaders to summon all hands on deck. Promoting engagement shouldn’t be a “to-do” on a few people’s screens, but an objective that’s an integral element of roles all across the company. 1. Get your marketing team in on the act. Have your marketers taken a backseat in the drive to employee engagement? Bring them into the mix. After all, the mindset behind marketing an internal initiative is not that different from marketing your brand externally. Task your marketing gurus with developing internal communications pieces, organizing recognition programs and honors, and publicizing culture events. As Chris Wallace, president and co-founder of marketing consulting firm InnerView, notes,“Brands should market new initiatives to employees the same way they market to customers. That means researching their attitudes and perceptions, building customized messages and delivering those messages in a way that resonates.” By putting the persuasive power of your marketing team behind your engagement efforts, you greatly increase their chances of gaining momentum. 2. Make employee engagement part of managers’ responsibilities. Managers, according to Gallup, impact employee engagement the most. Two employees at the same company may have the same CEO, corporate values, tools, and benefits, but two different direct supports can yield two very different levels of engagement. When you hire or promote people to management positions, ensure they understand your commitment to improving engagement by making it an accountable duty. For instance, you may want to weave engagement initiative outcomes into performance reviews. The key to getting managerial buy-in is to remove barriers to success. Give direct supports the leeway they need to make environmental or procedural changes. Likewise, managers should pay it forward and give their team members some leeway as well. 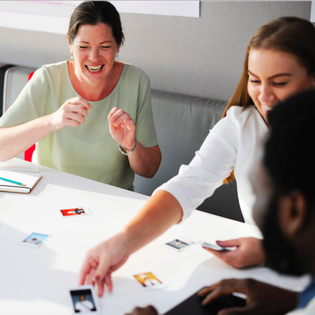 For instance, Southwest Airlines, which has been admired for its employee engagement practices, encourages employees to do things differently and to have fun. Employees took that to heart, with one flight attendant even rapping the oft-ignored safety information demonstration that precedes each flight. 3. Have a mission and product that make employees proud. Employees who don’t believe in what their brands sell and what they’re working toward likely won’t feel engaged. In contrast, Disney has always sought to “bring happiness to millions.” This core mission — and the company’s products and services — resonate with employees, keeping them engaged in their work. Before assuming your workers are lazy, disinterested, or disloyal, ask yourself the really tough question: Could your product or service be fatally flawed? Improving the products and services your brand sells can make a huge difference in how employees feel about working as full-fledged team members. Not sure how to pinpoint what’s ailing your brand? Ask both customers and employees to complete surveys, or invite employees to be part of an in-house or virtual feedback panel. Think employee engagement is too big a project to tackle? Give everyone a part to play instead of expecting HR to create companywide magic. The more hearts and minds involved in the process, the greater the likelihood that you’ll generate truly engaged workers.